Amazing vintage Rolex dating to the 1920’s. Gold-filled hinged case with porcelain dial. 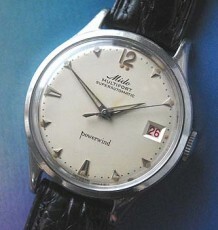 Hard to find watches from this period. A truly unique Rolex ladies watch dating back to the 1920’s. This gold filled model has hinged swivel lugs at either end of the case. The porcelain dial is in exceptional condition and uses Roman numerals at the hour markers. The 12 o’clock marker is red as oppose to the others that are black. 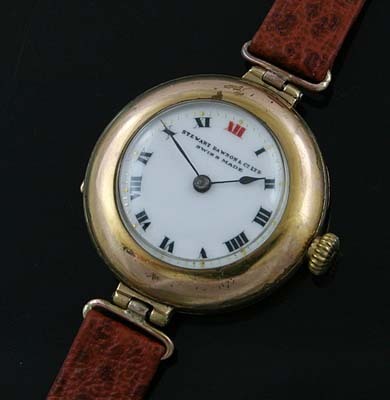 This watch has all the appearance of a nurses watch from the period with the exception of the red cross on the dial. The dial is signed Stewart Dawson and Co. The name belongs to an English Jeweller who later went onto establish branches in Australia and New Zealand. The watch is fitted with the famed Rolex Rebberg manual wind movement. 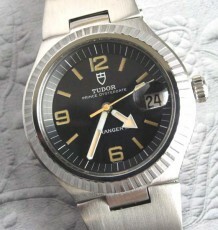 This watch was just serviced by my Rolex trained watchmaker and is running well and keeping time. 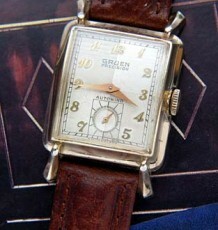 The larger than usual case has some minor wear on it but is in amazing condition for a timepiece over 80 years of age. 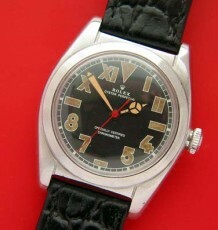 The case is marked as W&D as well as Rolex in the old script. The watch measures 30 mm round and is supplied on a brand new brown leather strap.